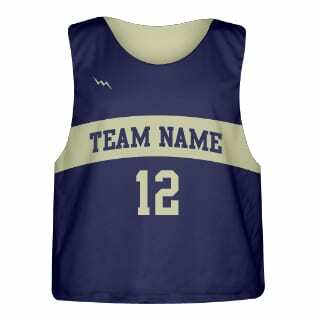 Custom sublimated lacrosse pinnies from Lightning Wear Apparel. Design one has an arched center accent for inner color. Design Online Here! Made to order in Kensington, Maryland USA. Amazing design and product. Thank you Lightning Wear. Top Notch!